What has four sides, often goes missing, comes from trees, and can be expensive to reproduce? It wastes up to 40% of on-the-job time, and about $120 billion per year in the US alone. Around 7.5% of them will be lost or misplaced each year (about one lost every 12 seconds), and for each that gets lost you’re looking at a loss of between $350 to $700 in employee time. Condescending sarcasm aside, I am of course talking about paper forms. But this article isn’t about paper forms, per se; it’s about how you can get rid of paper forms in your business with form automation software. Now that’s out of the way, here’s a bite-sized definition of form automation software. In a nutshell, form automation software is a tool that helps businesses to eliminate wasteful tasks and tedious manual work from daily recurring processes. To start with, let’s look at a few different terms that are commonly used when talking about form automation software. Form automation is both a principle and a practice (or process). In principle, it’s the idea of creating, sharing, completing, and managing forms electronically to eliminate waste and inefficiency inherent in paper-based systems. The principle of form automation applies to anything from applications, questionnaires, contracts, surveys; anything and everything that could be printed to paper. In practice, it refers to the software tools we use to get the job done. In the first case, certain tools allow the entire form life-cycle to exist digitally, which completely removes the need for paper. Tools like this can take the form of CRM, electronic surveys and contracts, or reports generated from analytical data. This is generally the more desirable route to take, as it is the one that allows for truly paperless workflows, and thus the greatest degree of automation and efficiency. Managing legacy paper forms is a sub-optimal compromise at worst, and a temporary solution that lasts as long as it takes to digitize the entire backlog of paper forms at best. Typically, the “automation” of this methodology refers to the automatic scanning of printed text using optical character recognition (OCR) techniques, which basically extracts the content of the paper document into a digital copy. These techniques are typically more commonplace in document management system (DMS) software. For any company, methods for managing legacy documents will be necessary for converting existing paper archives to digital, but must be coupled with a strategy for transferring the creation and management of future documents to digital. The best way that companies can do this is by using form software. 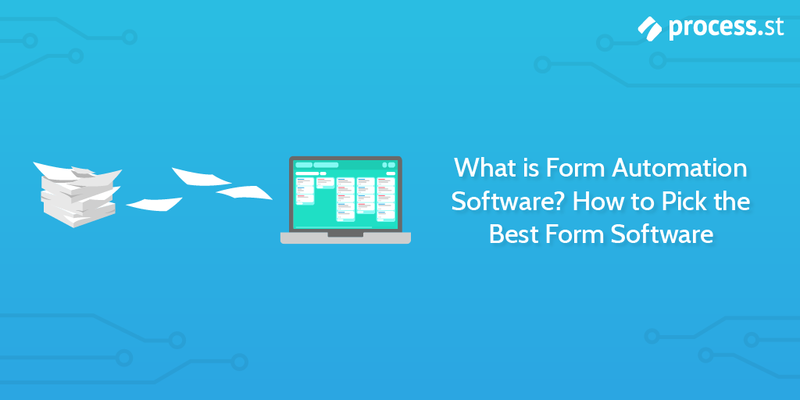 Form software is anything that’s designed to make the creation and management of electronic forms and documents possible. It’s great for making sure that time isn’t wasted on lost or misfiled paper documents, and that alone can save you a great deal of headache (and money). But, form software alone is only part of the puzzle. What really makes a difference is whether or not that form software is capable of automation. Terminology can be confusing, but I’ll try and make it simple. Basically, some form software will have automation, some form software won’t. Bottom line: make sure it has automation. Form automation software is designed to automate key parts of the workflows that these forms are part of; specifically recurring tasks and tasks that involve the transfer or sharing of forms. Ultimately, form automation software pushes your business towards the goal of a fully paperless office, but also goes one step further by ensuring that you’re eliminating as many of the tedious manual tasks and wasteful processes from your business as possible. “Form automation software” derives from a similar term that first appeared in the 1990s, used by JetForm Corporation to describe their proprietary solution for paperwork automation. Back then, it was known as “enterprise forms automation”. The process went on to be acquired by Adobe Systems, and alongside the development of the Portable Document Format (PDF) in 1993, laid the foundation for the automation of electronic documents. What’s more, in 2008 the PDF file format became an ISO standard. According to the Japanese principle of waste management known as muda, the largest waste is usually that of over-production. This is essentially everything that a company produces that could be considered excess, or not necessary for the healthy functioning of the business. Paper forms are wasteful, not least because of over-production. 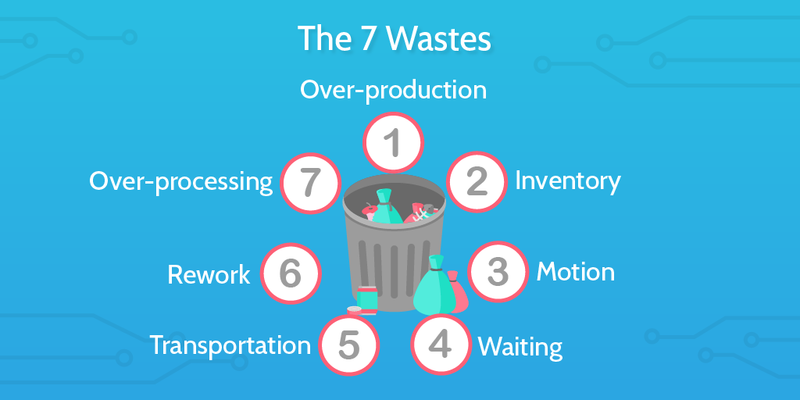 Of the seven wastes of muda, and compared to electronic forms they also waste time in how long they take to transfer between relevant interested parties (waiting), are logistically inefficient (transportation), and can mean employee’s talents are wasted in dealing with menial tasks that arise with paper trails (non-utilized talent). You could probably find even more attributions in line with the remaining muda wastes, but I’ll stop there. Businesses that employ form automation software can eliminate paper waste and help them to streamline the processes within their organization. Companies waste a lot of money on paper forms. Paper, postage, printing, inks, scanning, peripherals, filing cabinets, folders; it all adds up. Get rid of paper forms and you’ll see a nontrivial drop in costs, especially when you factor in cumulative costs over time. Anyone who has dealt with paper forms and documents can tell you how much of a nightmare it can be to go searching for one specific sheet of paper in the labyrinth of filing cabinets and folders. Time wasted chasing paper trails is time that could have been spent doing something important, like onboarding a new client or, you know, any job that requires actual human specialization. Form automation software that offers time-saving features like auto-fill forms or premade templates can help you to rapidly build and deploy workflows that automate recurring manual tasks. Searching for forms in a digital database is also instantaneous – these facts mean that your employees will have more time to actually do their job, and won’t have to spend half the day paper-diving in the back of a dusty old office cabinet. Good form automation software will be designed to help you improve efficiency and eliminate wasteful processes from your business. Choosing the best form automation software will depend on what business goals you’re trying to achieve. Undoubtedly, there are also many ways in which a particular software tool could help you achieve those goals. Form automation software is only as good as the extent to which the electronic forms can be customized. Being able to quickly and easily build custom forms with a range of different fields, as well as premade templates and rich multimedia is essential to any good form automation software. Sharing is essential for collaboration and the elimination of inefficiency in the transfer of documents; this process must also be secure. Access to confidential forms and documents must be protected where necessary, and the control of this access given to relevant interested parties. Electronic forms make storing and accessing documents quick and easy, but in order to mitigate complications and protect against system failure, your forms should all be securely backed up. Cloud storage offers a secure centralized location for categorizing and locating forms and documents quickly and easily, while minimizing risk of data loss or corruption. It’s also a good idea to make sure that you can access your documents offline. While many cloud-based systems are designed to let you work offline, it’s not always the case. Remote teams can use this type of solution to submit automated forms and the forms get updated automatically after internet access is regained. Enabling your clients and employees to quickly and easily sign forms electronically is an important feature for streamlining any process of review, validation or approval. Some form automation software will have this feature in-built into the process, or have it readily available as an integrated solution. Integration is a crucial component of a well-oiled form automation machine. With integration, you can introduce form automation throughout your business workflows, and ensure maximum automation via integrating with the other products and systems you use. The following is a list of what we at Process Street consider some of the best form automation software. We’ve tried to be fair in our ranking, including a variety of options that cover different use cases and business needs. 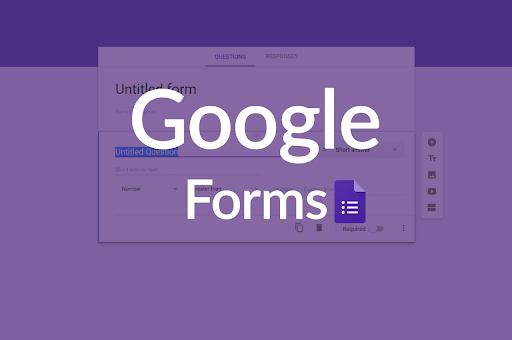 Google Forms is one of the best options for businesses wanting to automate their form workflows and make the transition from paper to digital. A great free option, it comes packaged with the Google Drive office suite alongside Google Docs, Google Sheets, and Google slides. 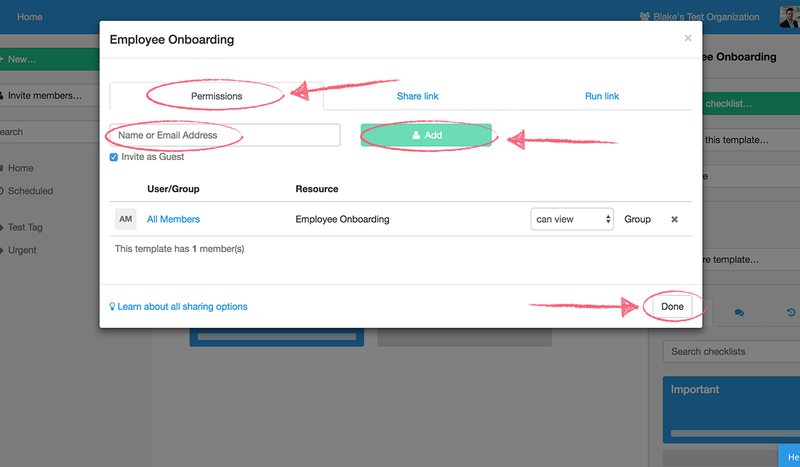 With Forms, you have access to all of the same sharing and collaboration features as the rest of the suite; so it’s a good choice for organizations that want to factor in ease-of-collaboration and sharing into their form automation workflows. Plus, if you’re already using any of Google’s other office suite products, it will be very easy to get things set up. It’s very easy to use, too. WordPress sites make up 14.7% of the top 100 websites in the world, and it’s no surprise that a good chunk of those websites are an important part of business processes for many organizations. 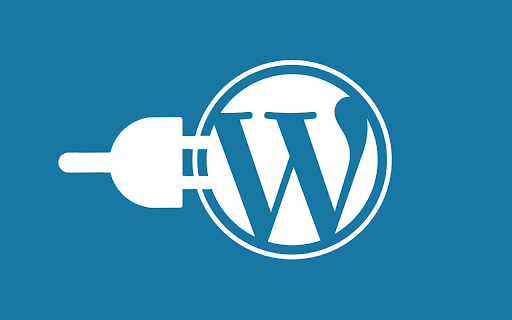 For those making extensive use of WordPress and not wanting to grapple with a completely new platform, there is a great deal of useful plugins available that can fulfil many of the roles of form automation software. A prime example is Gravity Forms, a simple yet powerful WordPress plugin for creating advanced forms that also integrates with many of the popular web apps & online services. 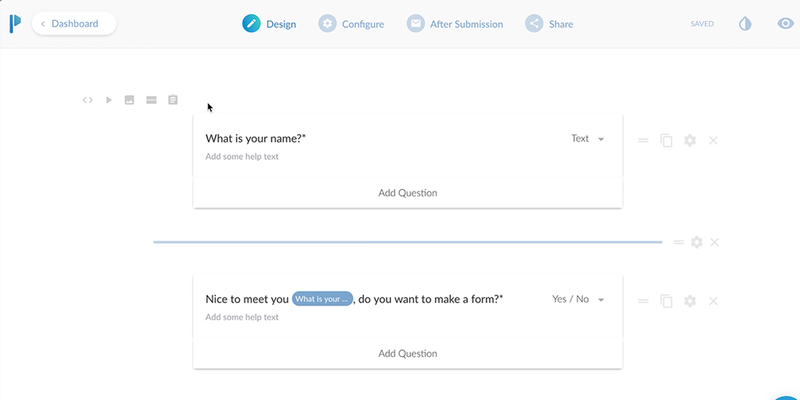 You could also check out Form Maker by 10Web, and Visual Form Builder. All of these are great low-code examples, having simple drag-and-drop interfaces, and will be great if you’re a heavy WordPress user. Zapier is a tool for integrating your other tools; it’s the glue that sticks everything together. In a business environment, the ability to have all of your tools communicate is invaluable. Admittedly, this is something of an outlier; but that is not to say it does not deliver on the promise of form automation. By using Zapier, you will be able to hook your business apps up with an impressive roster of form automation software, including but not limited to: HelloSign, WordPress, Google Docs, MailChimp, Process Street, and more! 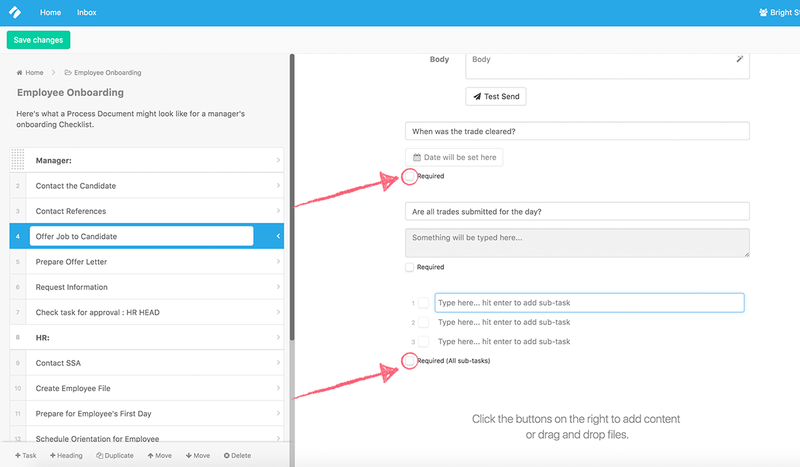 Don’t underestimate the power of Zapier as a form automation solution. If you know how to use it, Zapier stands to be one of the most crucial tools in your arsenal. Paperform is a killer piece of form creation and automation software which lets you easily create the form you need quickly and easily. Better yet, you don’t need any technical knowledge to use it. From creating beautiful forms to embedding, sharing, analyzing, and automating them, Paperform is built from the ground-up to accommodate even the most discerning user. They practically make forms into… well, an art form. Better yet, if you take advantage of business process automation (or already use Process Street and want to integrate it with other apps), Paperform uses Zapier to seamlessly integrate with over 1,000 other apps. We’ve even written a guest post for their stellar blog on the topic. 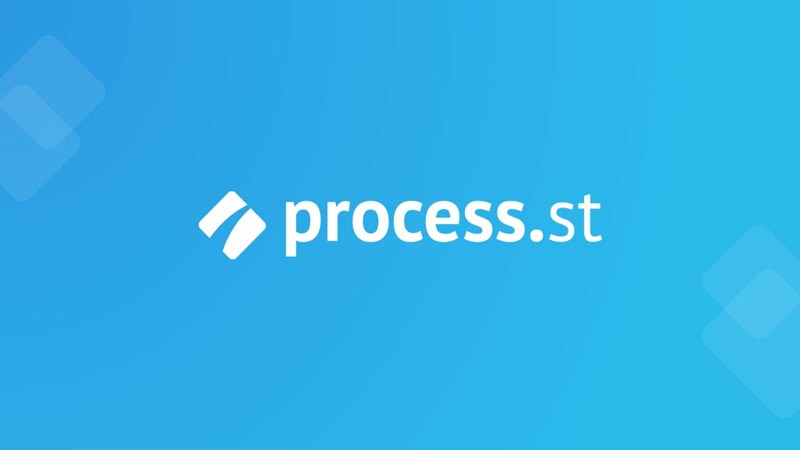 Process Street is one of the easiest ways to manage your forms, workflows, and recurring processes. It’s designed to be simple, so you can quickly create form automation workflows, checklists, and standard operating procedures (SOPs) for eliminating manual work and streamlining your business processes. With Process Street, you can build rich, customized forms with the many different form fields available, all of which have been outlined and expanded on in the different sections of this article. You can also use integration to connect Process Street with over 1,000+ other apps, many of which will already be part of your daily workflow. 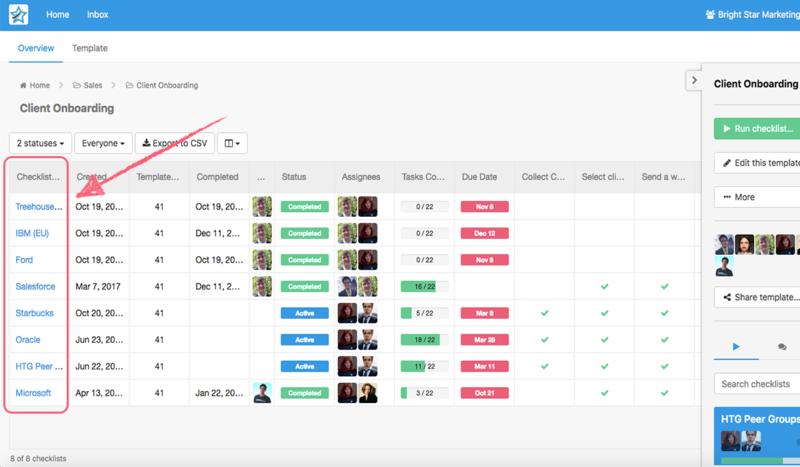 Process Street is a simple and powerful tool for managing workflows, forms and recurring processes. At its core, it is an intuitive business process management (BPM) software that lets you rapidly build and manage workflows, checklists, and standard operating procedures (SOPs). Process Street allows you to collect and store the data that matters to you with rich form fields that you can use to build out in the form of checklist templates. For example, if you were trying to improve your client onboarding workflow, you might build a checklist for that process in Process Street. In that checklist, you could set up form fields to collect the name, email address, contact number, and whatever other information you might need about your client. You could then use one of Process Street’s 1,000+ integrations to fully automate that process. That sounds great in principle, but how do you actually do it? Let’s start with the basics: what are form fields, and how do you use them? Then we can look at some more examples of how you can automate your processes. So, what are the different types of form fields, and how do they work? This is one of the most common fields, and is used for recording simple (often a few words or a simple sentence) elements such as names, key identifiers, or any data that can be clearly expressed in just a few words. This is pretty much the same as the Short Text field, but… longer. It’s designed to capture bigger chunks of data or information, like meeting notes, support conversations, addresses; that kind of thing. 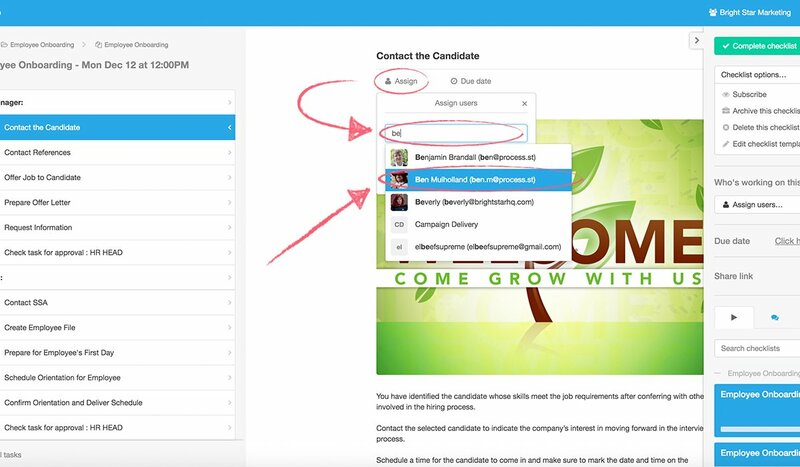 The email field is self-explanatory; it stores email addresses. These fields are advised instead of the standard Short Text field so that you can quickly and easily sort through your data. They are also designed to work with integration, whereby apps communicating with Process Street will be able to quickly and easily find email addresses for additional automation. Much like Email, the Website field is designed for storing URLs. By the same logic, it makes your life easier and enforces the good organizational habit of separating your data into distinguishable categories. And yes, it also makes API integration that little bit easier. This field allows users running checklists to upload important information to the checklist in question. 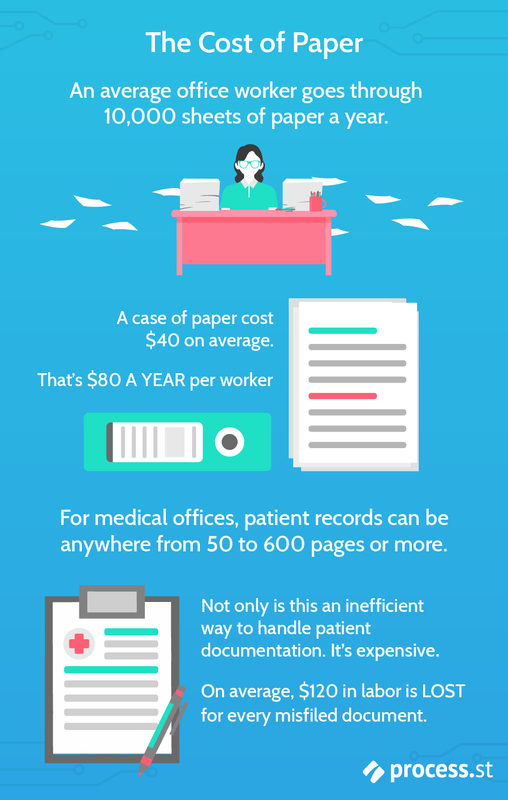 Common use cases include signed documents, proof of identity, or scans of pretty much any paper document. You can even upload files directly from a mobile device, which makes on-site tasks like those of a building or machine inspection process easier than ever. You can also dump files in there via triggers from Google Drive, Dropbox or other cloud storage providers. The Date field has one purpose – to record dates. It could be the date of absolutely anything – the specific date a checklist was run, due dates for tasks, times of meetings, support logs, or even holiday times; the Date field will be there. To record that date. Dropdown fields allow you to include multiple choice options in your checklists. Tasks that require multiple potential answers will require this field. For example, you might have a Dropdown field for “Project Status”, with these options: “Incomplete”, “Waiting Review” and “Complete”. 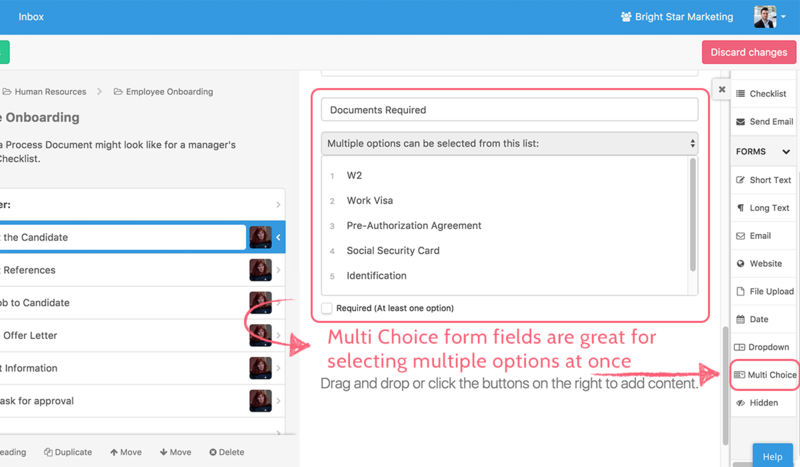 The multi choice field is pretty much the same as the Dropdown field, except that multiple options can be chosen at once instead of only one. E.g. 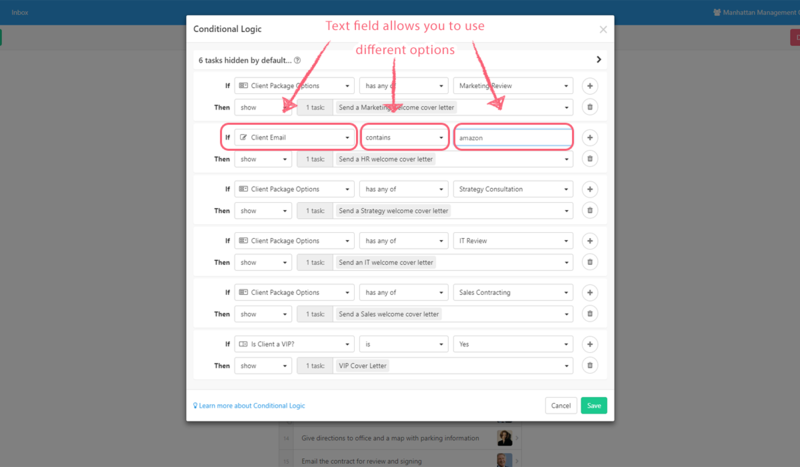 you might want to provide multiple features for a package you’re offering to your client; with the Multi Choice field you can easily implement this so that they have the option to select variable data based on their needs. Perhaps the most esoteric of all of Process Street’s forms, the Hidden field can only be seen by the person editing the template, in the template edit view. It cannot be filled in by hand. It is filled in automatically when Process Street pulls information from other apps during certain integrations. Typically, these values will be those that never change. For example, you might create an integration with your CRM. A Hidden field could store a customer ID; this value will never change, unlike an email or phone number, which may change and need to be updated at some point in the future. That’s the main use of the Hidden field in Process Street. It may be somewhat more complicated to understand than the other form fields, but its value is still very clear. Simply put, anything that can be used as a unique identifier that is sure not to change is perfect for this field. Form fields collect information, and this information can also be thought of as a variable that you can access and utilize at any point during the process of running the checklist. For example, if you want to consolidate a bunch of information from a group of tasks, you can format that information into a text widget. Or perhaps you want to funnel the data collected so far in the process into an email, and have that sent automatically? You can do that too. First of all, you’ll need a template. You create your own, or grab one of the hundreds of free premade templates we have already. Find the template you want to use, and click “Edit this template”. 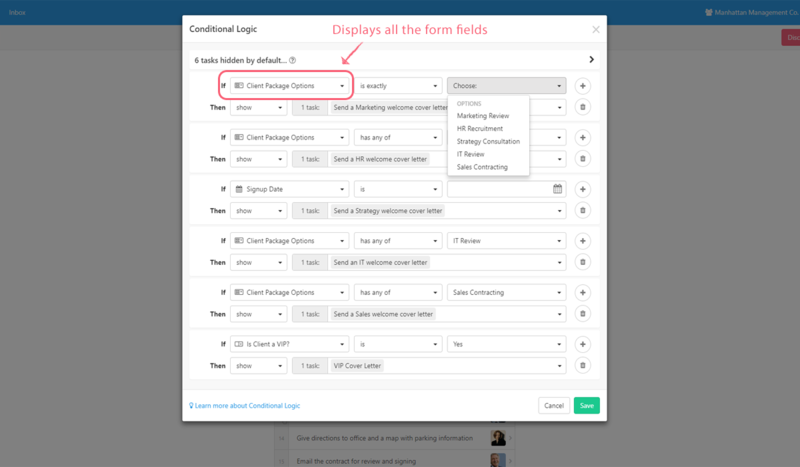 Now select the task you wish to add the form fields into, and select your chosen field. 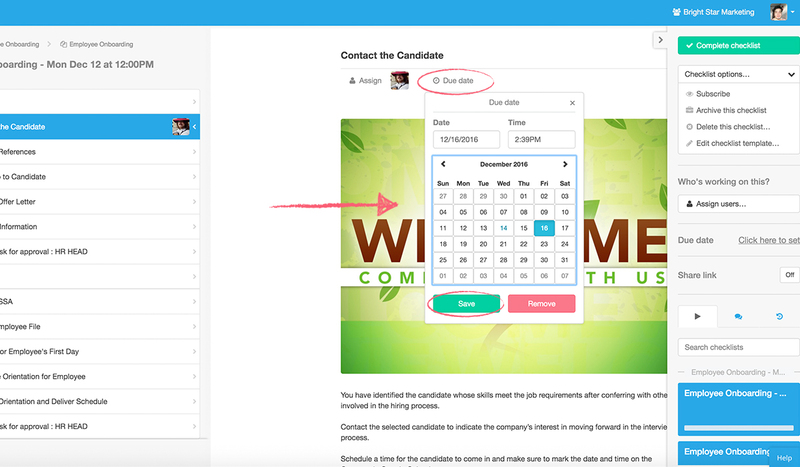 With form fields, you can collect data as you work through a checklist. You can then do whatever you want with that data – see it in a convenient overview, export it, or pass it on to other apps with one of our many Zapier integrations. 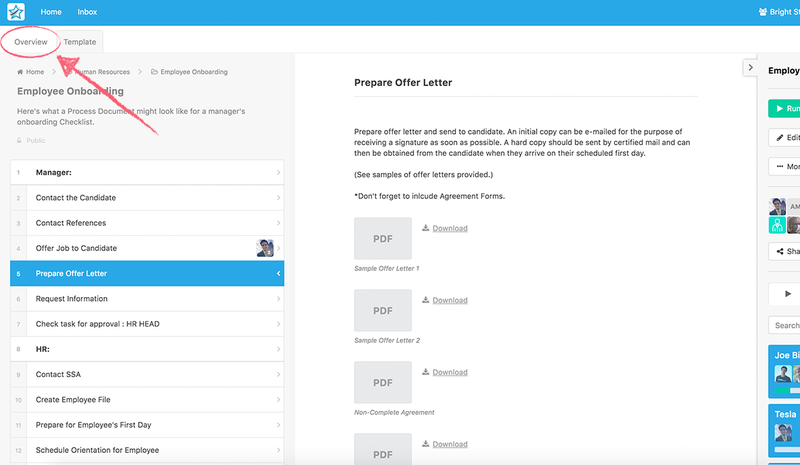 Forms can be used to collect simple information like names, emails, or details of a sale just closed; they can also automatically generate a bunch of content for you, like emails, blog posts, contracts, invoices, and so much more. 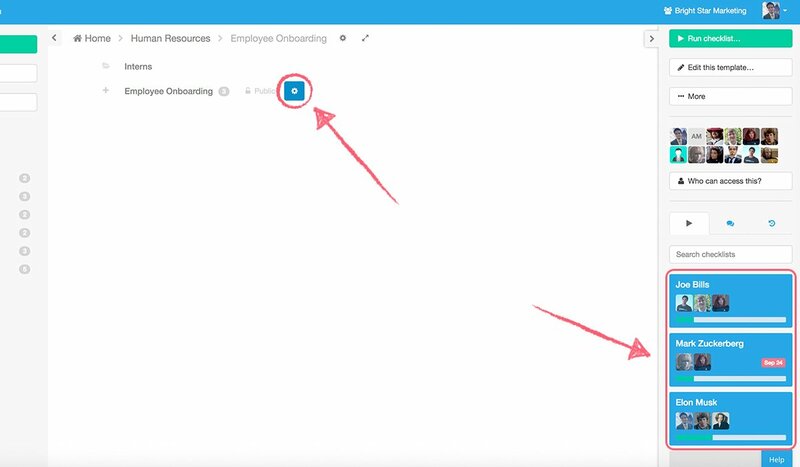 They can be filled in by team members, or automatically filled in as part of an integration (like a trigger from your CRM). Together, these features make checklists so much more than simple itemized lists. They become powerhouses for workflow automation and business process management. Rather than having to record each detail as a comment or sift between multiple different apps to get the information you need, Process Street makes it easy to pull together all your information into one place, automatically, for the ultimate ease of use and optimal efficiency. 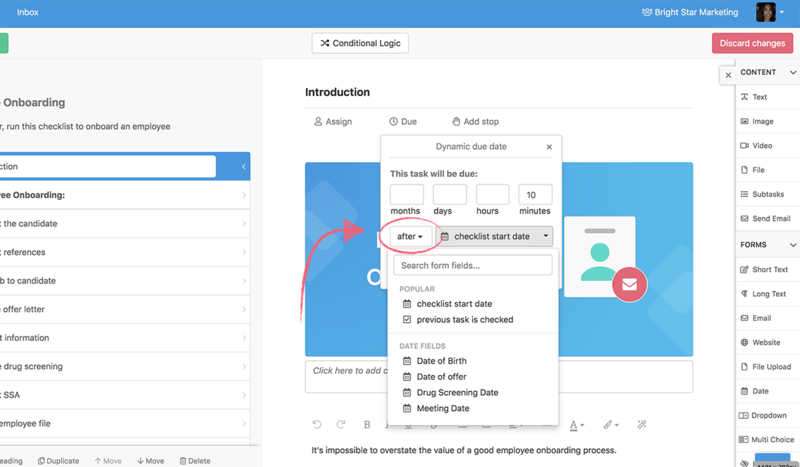 With conditional logic, you can create powerfully dynamic checklists that adapt to the changing needs of you and your team. To get started with conditional logic, locate the “Conditional Logic” button, between the ‘Save Changes’ and ‘Discard Changes’ buttons. Here, you have the option to hide certain tasks unless specified otherwise as part of the logic. This is a handy way to make sure your tasks do not appear until the proper criteria have been met. As you can see below, you will be shown all of the options you can use to trigger conditional responses. The interface is quite intuitive, with a simple layout that outlines an “If” condition, followed by a “Then” response. Now, depending on the form field you’re trying to use as a trigger, your “Options” field will look different. For simple text fields, any value can be submitted. 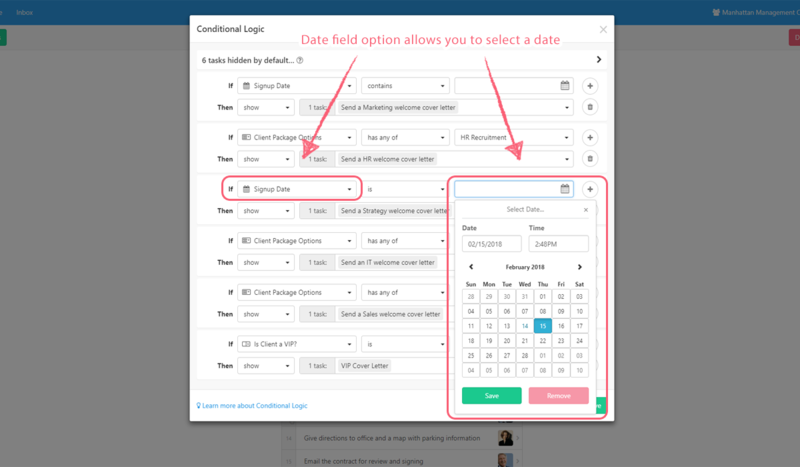 For the Date field, only dates will work. Aside from that, the Dropdown and Multi Choice fields will provide you with the potential relevant options as you defined them in the form field you created for the template in question. 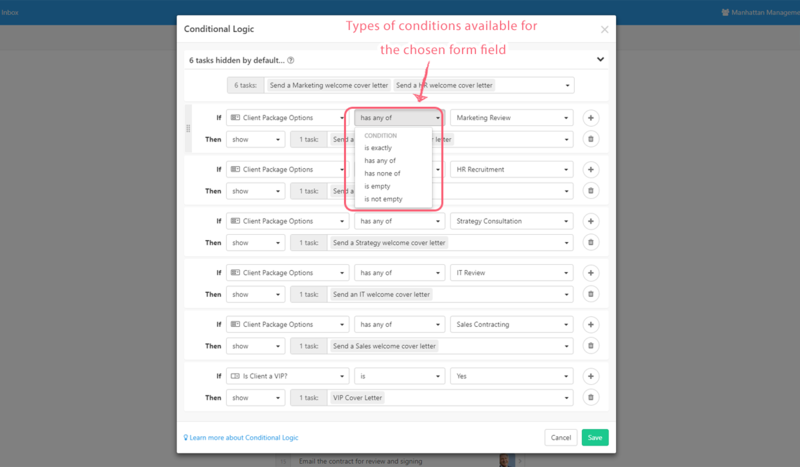 Multi Choice fields will have the “Contains” condition, whereas Dropdown fields have the “Is” condition. For more info, check out our article on conditional logic. 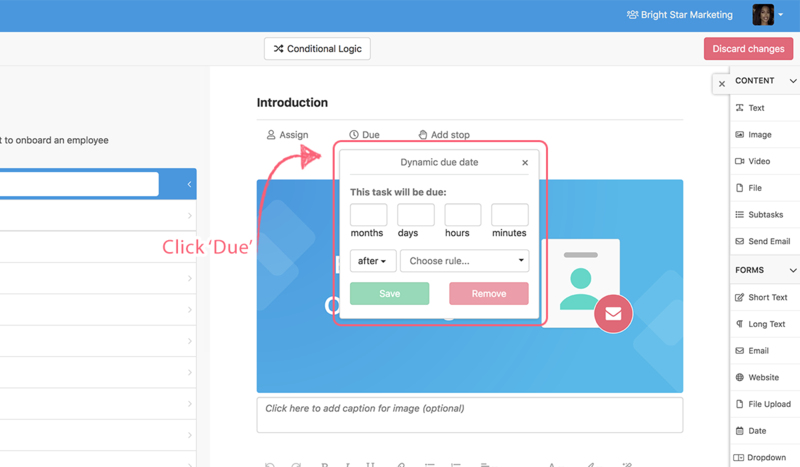 Dynamic due dates allow you to easily set up due dates for a specific task that change depending on variables input just like any other form field, or set in accordance to specific parameters like when a checklist was created. 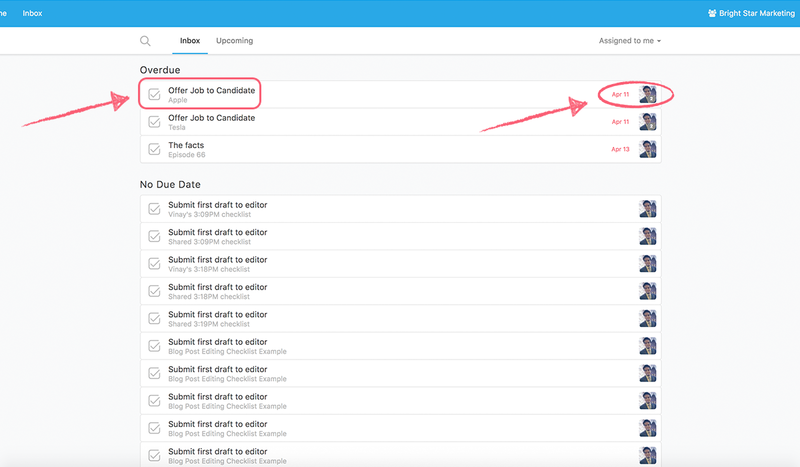 These rules will automatically adjust the due date of tasks as various actions are completed. Step 1: Select the template you want to edit. Step 3: Decide on the most appropriate trigger. For more information on dynamic due dates, check out the help site article. You can set due dates on your tasks to make sure that everything is completed on schedule. When a task is due the people or groups assigned to that task will be sent an email reminder. Once a task is overdue, it will turn red so you know it’s time to either complete the task or update the due date. Setting up task due dates is incredibly easy. Just open the checklist and hit the “Due date” button at the top of the task. Then, select the date and time you want the task to be due for and click “Save”. Done! For more information on task due dates, check out the help site article. 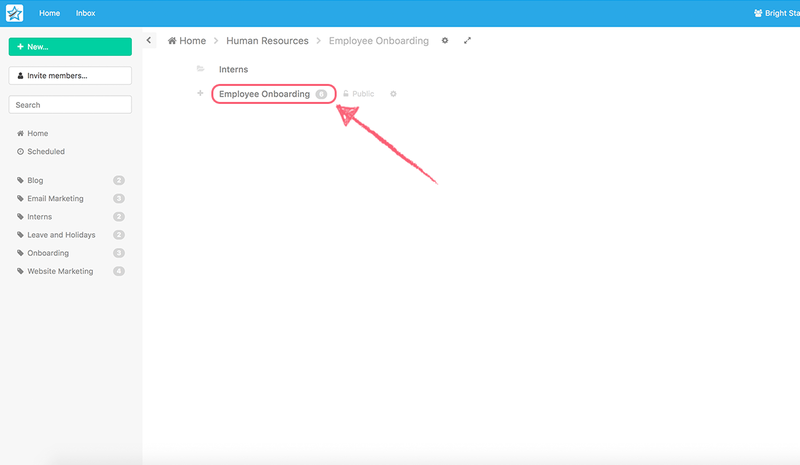 This feature is crucial for streamlining workflows across your organization in the form of automatic work delegation and subsequent tracking. 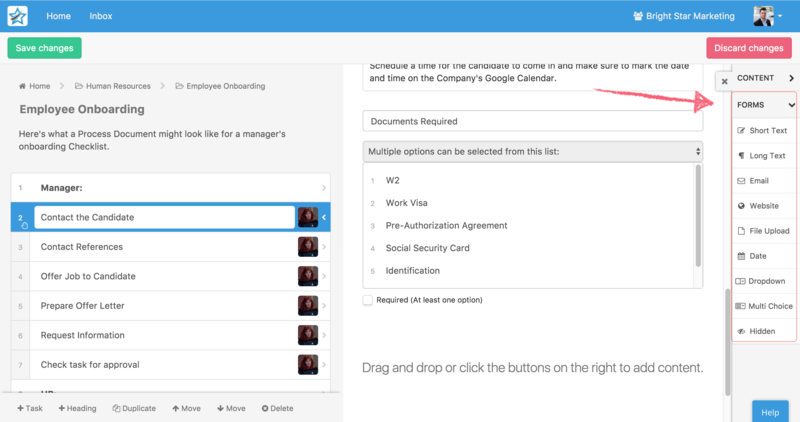 You can assign different users and even whole groups to individual tasks in your checklists. Combine this with due dates, and you can be sure that everything will be completed on-schedule. Anyone (people or groups alike) assigned to a specific task will be notified via email whenever the task in question is due, or overdue. 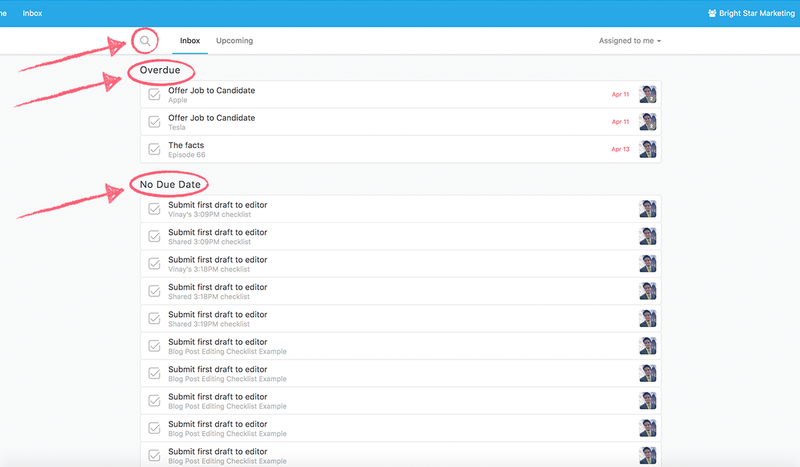 Assignments and dynamic due dates can also be pre-set in the checklist template, meaning that when you run the checklist, everyone will automatically be assigned, along with due dates set, according to your settings. These are sent when someone is assigned to a checklist and that checklist becomes overdue. If a group is assigned, everyone in that group will receive an email on the assignment, and due dates of the task. 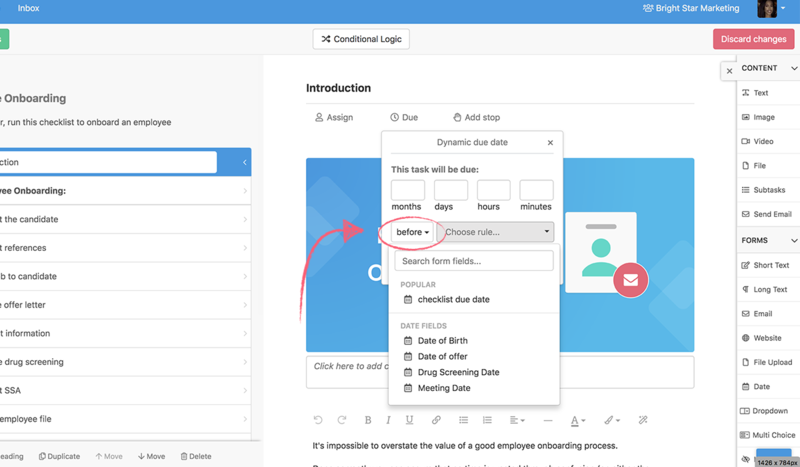 To assign a specific user to a task, simply find the parent template in your dashboard view, click the cog next to its name, and scroll to the bottom of the template menu which appears on the right-hand side of your view. Once here, select the checklist you want to assign, and open it. 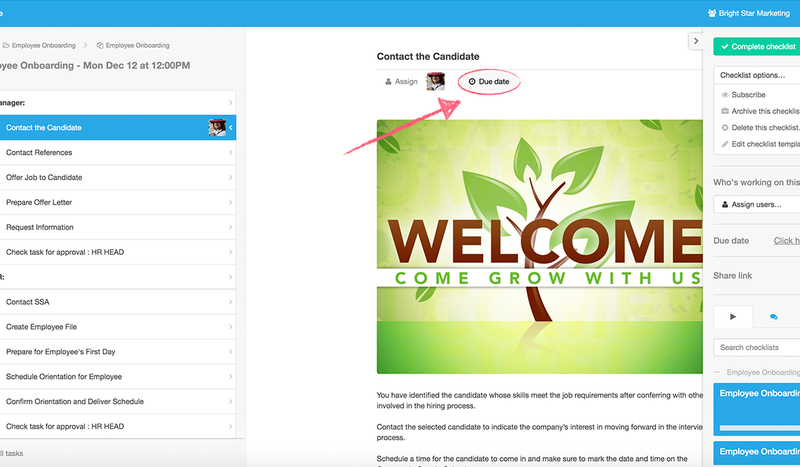 Once it’s open, click on the task you want to assign a user to, then click the “Assign” button at the top of the task. Use the search bar which pops up to search for a user or group in your organization to assign to the task, then click their entry to select them. You can repeat this as many times as you want, and assign as many users and/or groups as you need. Whenever you do assign a new user or group, an email alert will automatically be sent to that user (or all users in the group). For more information on task assignments, check out the help site article. Template Overview is perhaps the best way to see a high-level summary of each checklist that is running from a particular template. Think of it as an in-app version of our checklist CSV export feature (except far prettier). Template Overview means you can quickly see which checklists are active, archived, or completed. It basically shows you what work has (or hasn’t) been done. Important information like the date checklist was created, the due date, form field data, and more can be seen in a handy spreadsheet layout. Then click the “Overview” tab at the top of your page. From here you can click on any of the checklists’ names to open them or use any of the features below to customize your view. To get the most out of the Template Overview feature, you should customize it to your own preference, so you can see the data that is most important to you. Different parameters such as order, size, and type of columns can be changed to your liking. This is a brilliant way to get a quick summary of all of the checklists in that state. By default, only active checklists are displayed in template overview. 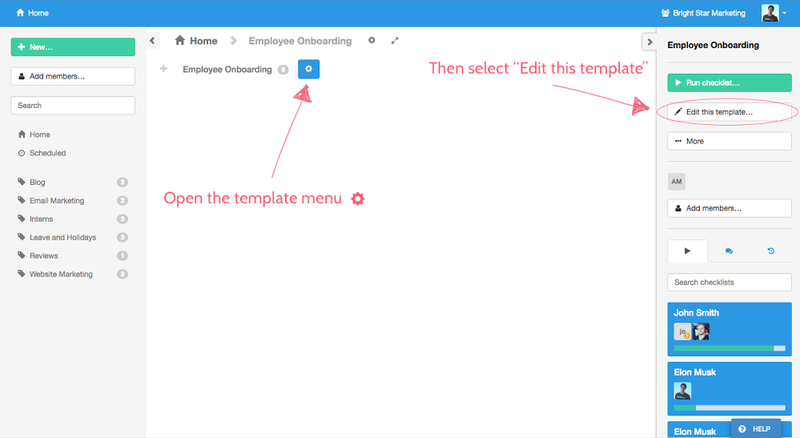 For more information on the Template Overview feature, check out the help site article. Process Street’s Inbox feature makes it easy for you to keep track of all of the important tasks that you and your team need to do. It’s easy: just click on the ‘Inbox’ button next to the ‘Home’ button at the top left of your screen at any time within the app. 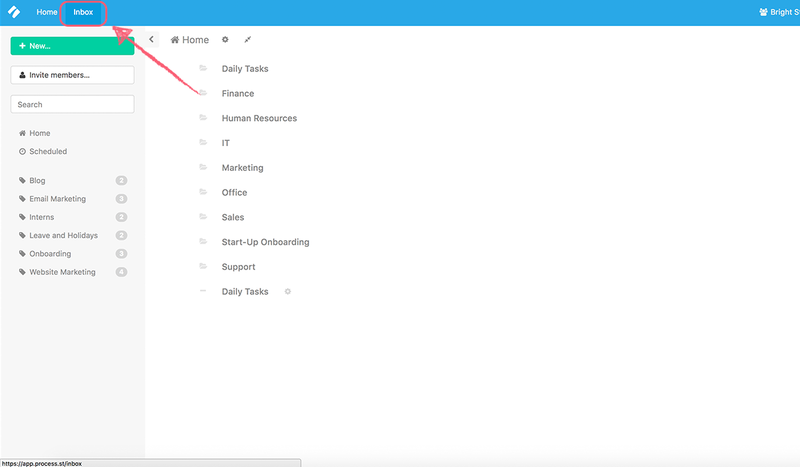 Once you’re in, you can see all of the tasks and checklists you’ve been assigned, organized by due date across all of your folders and checklists in one convenient location. Tasks and checklists without due dates are listed after everything that’s due. 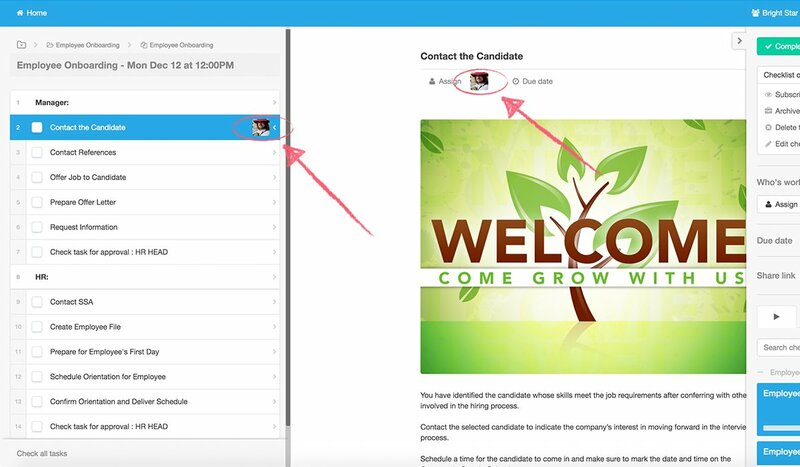 There’s also a handy search feature (the magnifying glass on the left) to make it easy to sift through busy inboxes. Boxes with a single check mark icon represent assigned tasks; boxes with three checks represent assigned checklists. For more info, check out our article on the Inbox feature. Sharing templates and checklists is easy with Process Street. To share a template, first click the cog next to the name of the template you’re interested in sharing to expose the right-hand template menu. 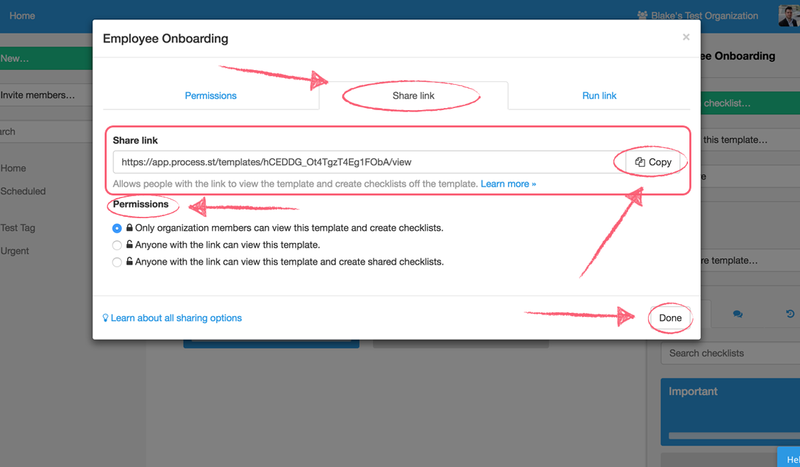 Then simply click the ‘Share Template’ button to bring up the various template sharing options. 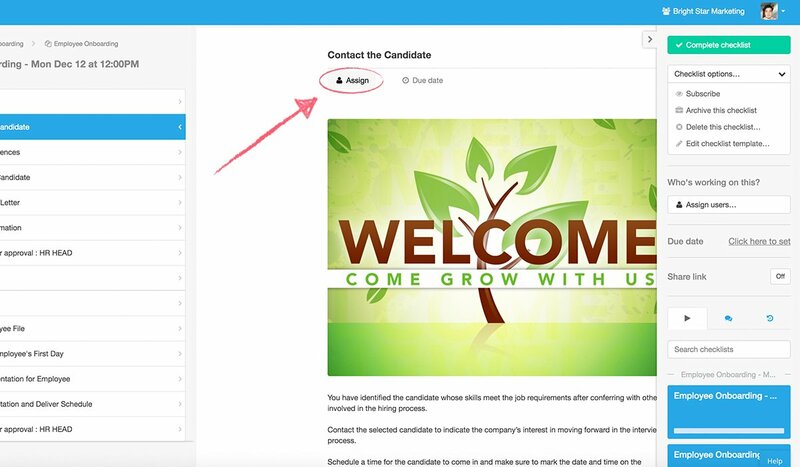 To assign your guests, members, or groups to a template type their name or email address into the field provided and then click the green ‘Add’ button. Guests can only be granted ‘can view own’ permissions. For more info, check out our article on Template Share Links. Form automation becomes really exciting when you start working with integrations. They essentially unlock the true power of form automation software. Zapier is a tool for process automation that allows you to trigger automations from every single form field in Process Street. What does this mean? Well, for example, you could be running an accounting checklist, and at a certain point (when a task is checked in Process Street) all of the data collected so far in the forms of that checklist will be automatically pushed into your CRM software, or ready to fire off a HelloSign integration, start a Mailchimp email campaign, or do pretty much anything with almost any other app you could imagine! Truthfully, though extensive, this article is just the tip of the iceberg. 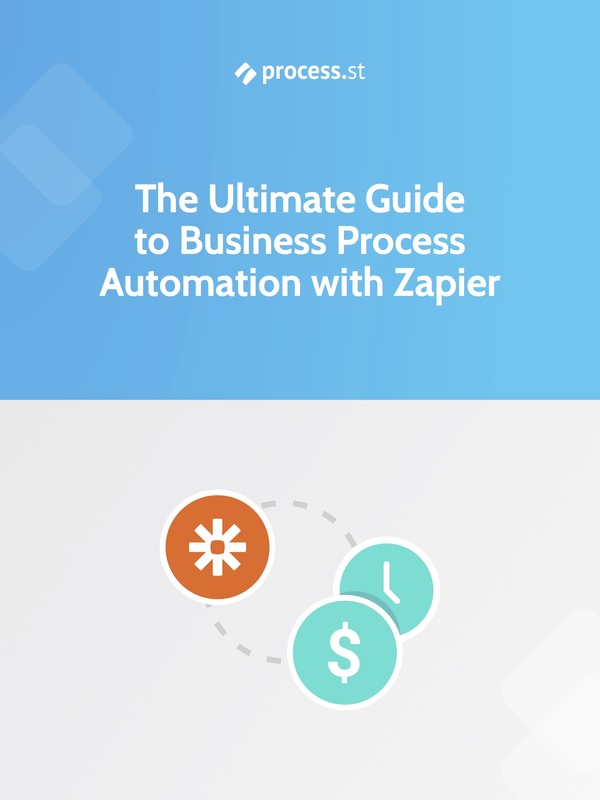 If you’re keen to delve deeper into the realms of process automation, then you’ll surely want to take a look at our ebook, The Ultimate Guide To Business Process Automation with Zapier! It’s essentially a guidebook you can use to start saving time and money by automating as many of the processes in your business as possible. Everything from basic tasks such as saving Gmail attachments into Dropbox to shipping your Salesforce leads into Mailchimp, this ultimate guide will walk you through setting up the optimal automated workflow to eliminate tedious tasks from your workflow. Plus, with over 1,000+ integrated apps (via Zapier), chances are that most of the apps you already use every day are just waiting to be automated! If you want to learn more about building workflows with Process Street, check out the user guide by clicking here. If you need a little help setting up your Zapier integrations, consider downloading our free business process automation guide, which can take you through every step of the process. All you need to do is put in the form fields! What did you think of this article? Let us know in the comments below! Oliver Peterson is a content writer for Process Street with an interest in systems and processes, attempting to use them as tools for taking apart problems and gaining insight into building robust, lasting solutions.